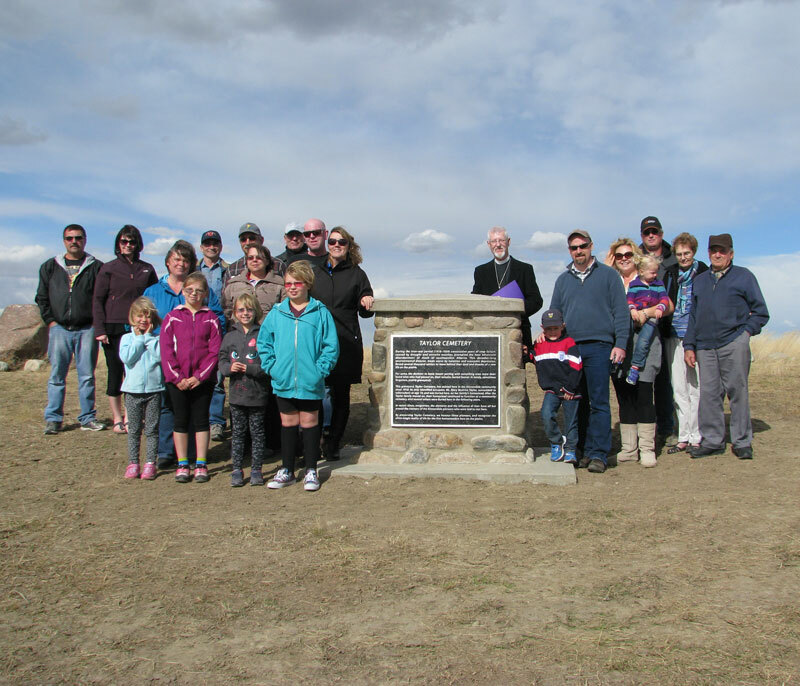 As a descendant of the area – Koch was born and raised in Brooks – he finds an affinity for southeastern Alberta history. His blog, Forgotten Alberta is a virtual treasure trove of the undiscovered in the area. He said the work in getting the historical marker involved a handful of organizations and groups. He said many don’t know the history of Bow City – and what was initially planned for the area. In 1910, an initial survey of the north half of 9-17-17 W4 was undertaken by J.F. Hamilton, a Lethbridge land surveyor. The plan envisioned a townsite bounded by a “proposed Government Park” to the north, and Railway Avenue to the south, running alongside the proposed Bow City Collieries Railway from east to west. He believes the history of Bow City is intertwined with the area. “It was a substantial community and is part of our past. There was a promise growing from that settlement. It peaked at about 125 people in 1914. It was incorporated with a big future in mind, then rail development simply went further south and communities like Vauxhall, Retlaw and Enchant started to pop up and drew people away from Bow City,” he says. He says the marker will be placed in an appropriate spot – within the former village boundary at its peak size on a section and a half of land overlooking the river. Koch said work on the recognition plaque was truly a collaborative effort. “We had letters of support from the EID Historical Park in Scandia, Brooks Museum, County of Newell and County of Vulcan, who had staff help out as well. While the plaque won’t likely been installed before the anniversary, Koch says the timing couldn’t be better. Crediting both the Historical Society of Alberta, and Hugh Dempsey for the opportunity to share a decade’s worth of research on the former village of Bow City, Koch’s blog featured the history of Bow City in a post called “The village born unlucky”. “Bow City is an unlikely spot for a metropolis. Situated about 20 miles southwest of the city of Brooks, this curiously named community is comprised of a well-maintained park and a scattering of acreages perched atop the north bank of the Bow River. Once a bustling coal mine camp during the ’40s and ’50s, today’s hamlet no longer even merits a dot on the provincial road map. Koch says there is always the undiscovered – or at least little known about communities to next shine lights on. He said the Second World War had an effect on southeastern Alberta. Thank you to Rob Brown and the Brooks Bulletin for kindly granting the permission to reproduce this article. Isn’t that good to hear. Without a marker, I doubt anyone would even know the place existed. Recall, we visited the Bow City townsite with you last year. Hi Chris, thanks for checking in! It is great news. If you remember the vantage point on the river bank where you could see old and new Bow City, that’s the location where they will be placing the marker. I’m very excited to see this happen. Keep in touch!